Nov. 9 (UPI) — The Indian Army received its first M777A2 155mm towed Ultra Lightweight Howitzers at an handover ceremony earlier this year. The howitzers will enter service with it’s first Indian regiment in 2019. They were accepted earlier this year as part of a 145-gun foreign military sale between the U.S. and Indian governments, according to an announcement from BAE Systems, which makes the gun systems. “The Indian Army is receiving an extremely reliable and battle-proven artillery platform,” Joe Senftle, vice president and general manager of BAE Systems’ weapon systems business, said while attending the handover ceremony. “The M777 brings a new level of capability to the artillery unit by offering rapid deployment and extreme accuracy. It can operate in areas that are difficult to access and is also very easy to maintain,” Senftle claimed. BAE Systems is manufacturing and delivering the first 25 howitzers whole, with the remaining 120 being delivered in parts for assembly by Mahindra Defence Systems under an agreement designed to foster defense industrial cooperation and create local jobs. Spare parts, tools and training equipment for the new guns were delivered earlier this year. 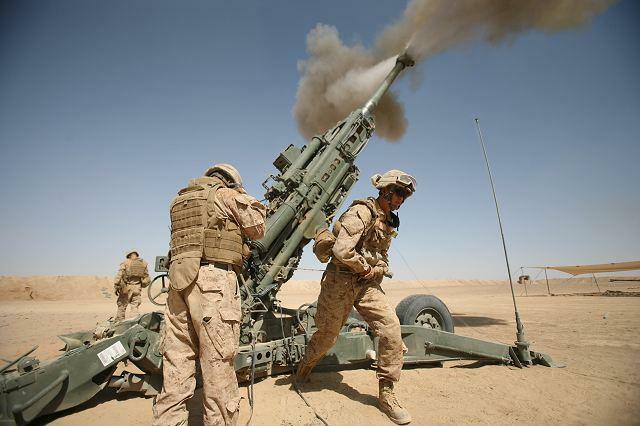 Alongside 18 additional M777 guns recently ordered by the U.S. Army, it would mean over 1,250 of the howitzers will be in service with the United States, India, Canada and Australia.